Village Ceramics has become a very popular stress free venue for birthday parties. 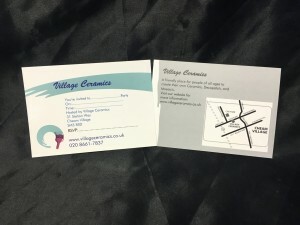 Parties are available on Saturday’s & Sunday’s. They last for two hours for groups of up to 40 children. We offer two different seating areas catering for large and small parties. The main studio seats a minimum of 14 and a maximum of 20, and the back studio seats a minimum of 6 and a maximum of 10. If you have a larger group than 20 we can reserve both party areas, any groups smaller than 6 can come and do pay as you paint sessions in the front area of the studio. We can do birthday parties for children as young as 4, however we recommend going for option 2, parties will last for 1hr 45minutes rather than 2hrs. 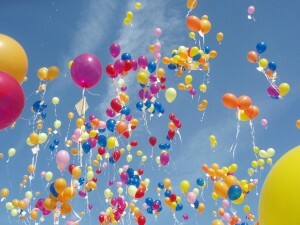 Important We ask that only birthday girl/boy parents stay (maximum of 3 adults). 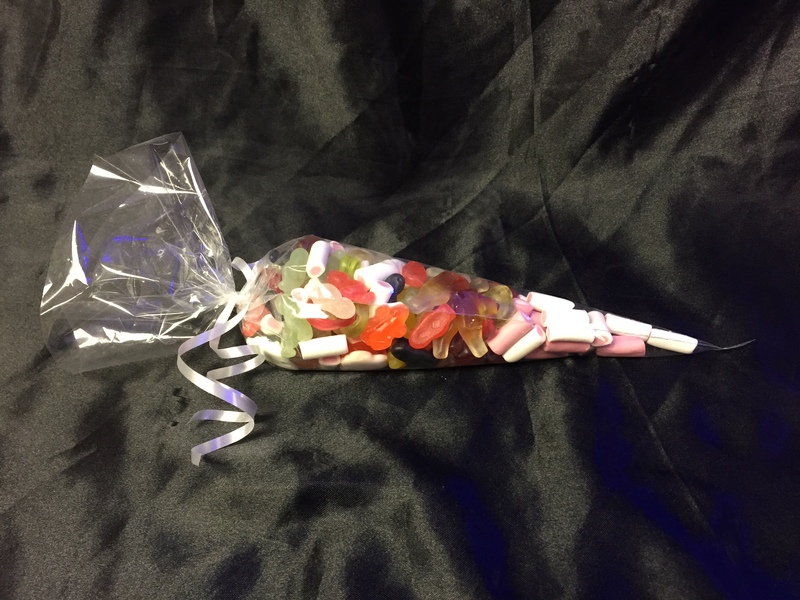 We appreciate that with younger ones this isn’t always easy, but it allows us to do our job much better if we have space to get around to all the kids & results in a much better party – it can be very tricky otherwise! We have a Cafe with tables and chairs outside which has an awning (come rain or shine) where you can purchase hot or cold drink from us and stay close, all purchased drinks receive a token and at the end of the month we give back to the local community and some charities. Slime making party, making 2 pots of slime with glitter, balls, and lots of choices of colours – all to take home the same day. 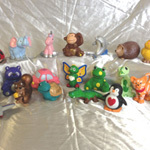 Choice of over 15 fantastic characters that can be taken home on the day. Characters include a dog, cat, dragon, unicorn etc. 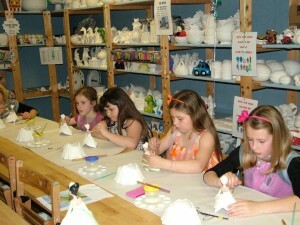 Guests will paint 1 character in acrylics and glitter! 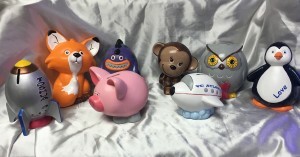 Choice of 7 different moneyboxes: Fox, Unicorn, Penguin, Pig, Rocket, Plane or Owl. 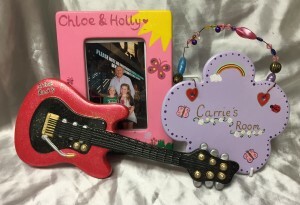 Choose your piece and paint and decorate in acrylics and glitter – and take them home on the day! 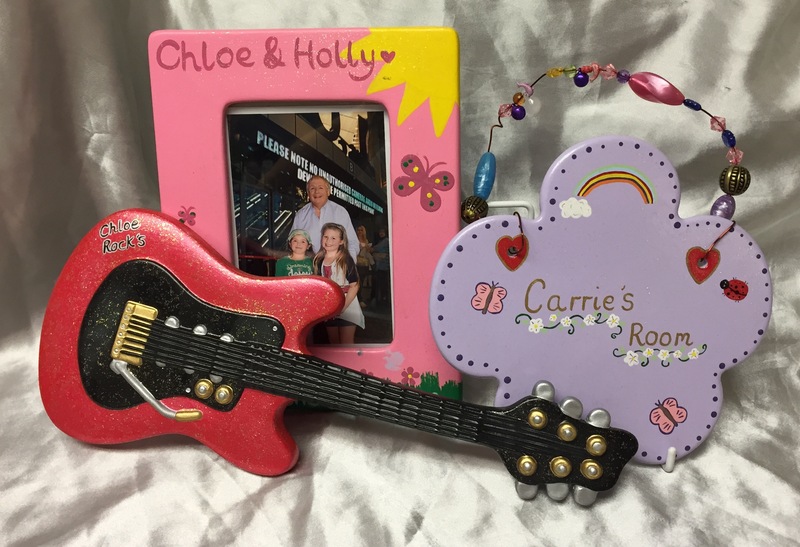 Choice of a Flower plaque, Groovy Guitar or Picture frame. 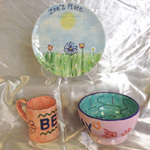 Guests will choose their piece and paint and decorate in acrylics and glitter – they will take them home on the day! 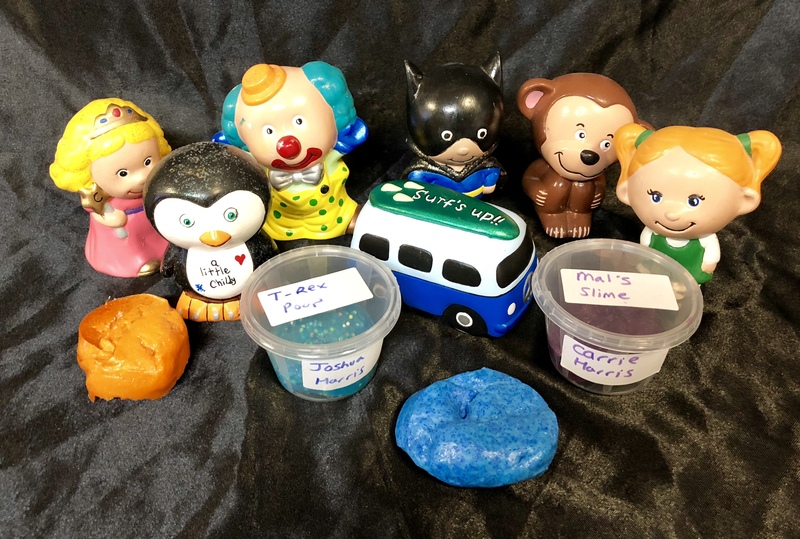 Make 2 pots of slime, using glitter, colour, styrofoam balls (lots of gooey mess) and then paint a collectible ceramic piece in Acrylic paints with glitters and sparkles and take it all home on the same day..
Parties are available 7 days a week. All parties include supervision, tuition, a sugar free drink and a chocolate chip cookie, aprons and a bag (this will have childs name and piece in, if you wish to add to it you can, or we can supply sweetie bags to go in bag also).. Most parents bring along party food and a birthday cake. A £50 deposit is required and booking two months in advance is advisable. Please note that deposits are only refundable if the party is cancelled 1 month before the birthday party. We have a small kitchen area with a microwave ,knife and lighter for birthday cake so you don’t have to bring too much with you. 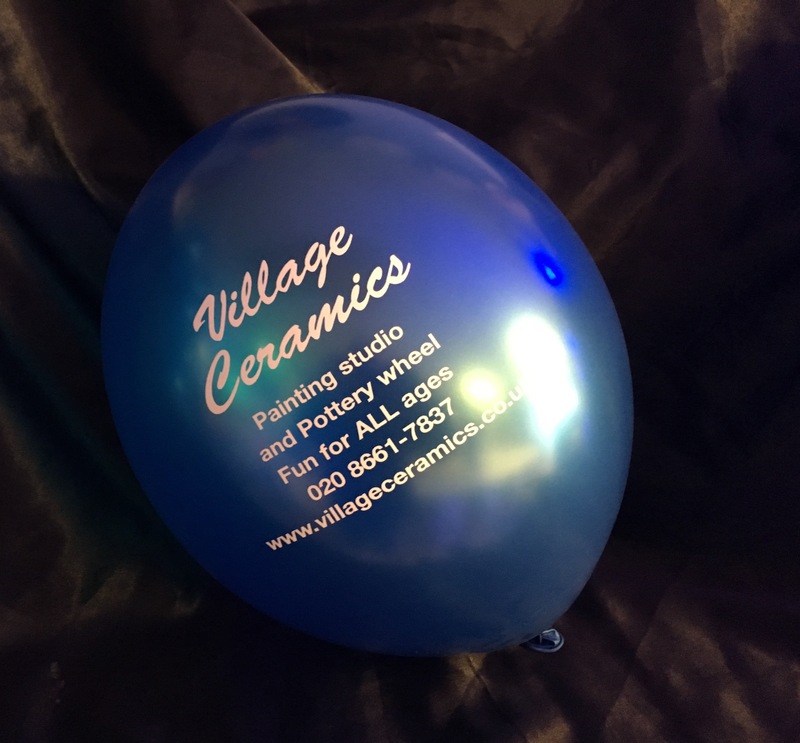 Bibbidi Bobbidi Balloons – inside Village Ceramics. 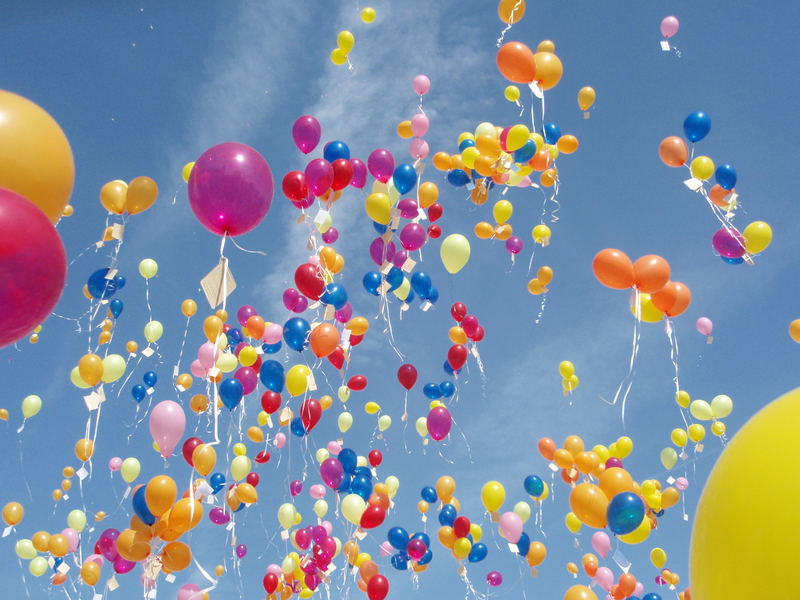 We can offer you a huge choice of birthday balloons for your child, Helium numbers or character balloons. 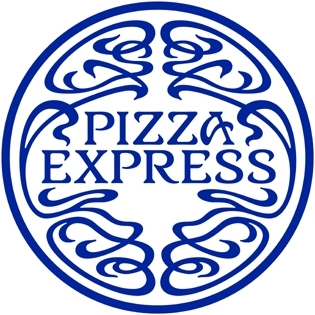 We have an exclusive deal with pizza express (2 mins away) for kids take away pizzas or pasta £4 per head. 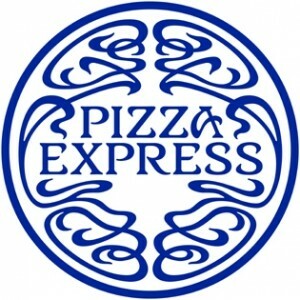 We will order it collect it, bring it back and then just add it onto your bill. 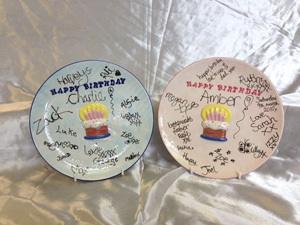 Also a nice addition to parties is a ‘magical memory plate’ – on the day of your party guests can sign or doodle on the plate & its left with us to be baked & then you can collect it & have a lasting memory of your special day!!! Plates come in either pink or blue & need to be ordered preferably 2weeks before a party to make sure we have your plate all ready – at just £15.00 its a great keepsake!!! We can arrange for sweety bags to be made up for each party guest, saving mum and dad time.